Helen Berliner: Rinpoche, from that perspective, how would you envision or define a curriculum for training students into this view? Jetsün Khandro Rinpoche: I think traditional methods are the best methods. People would argue with that. And I’m not saying that everything done in olden times has to be done again in the modern world. But a lot of wisdom has been passed down by great enlightened masters, and we can generate great benefit from that. To devise new things is also necessary to some extent, but not because you don’t know what the traditional methods are, or because it’s easier to just compose something. Unless you, yourself, are absolutely realized or enlightened, that would be dangerous to get into. The new ideas you come up with or compose might be very good for a time. But if you’ve not thought out all aspects of your creations, there may be loose ends that leave some people out. Or they may just backfire. Or you may have to keep renewing them, like those endless new technologies we get stuck with. When that happens with the training of human minds, it can get very confusing for students on the path of practice. So it is essential and beneficial to exert effort to understand and retain the training methods of the great masters. Then, as the Buddha and many of our teachers have said, model them according to the needs of the time with slight variations—which, again, shouldn’t be taken as an excuse for drastic change. The human mind is basically the same as it was 2500 years ago. Objects may increase or decrease, but the basic pattern of mind is the same. Desire is the same; likewise anger, and ignorance, and jealously are the same. The Dharma and the training of mind are basically about working with people. In working with students or communities, we must understand the principles and methods that have been given to us. Understand how to apply them so they really allow people to benefit by generating their best capabilities and qualities. In this context, I think it is crucial for today’s students to live in communities under the guidance of teachers. Some teachers have made this determination and commitment to live closely with western students. If you don’t live in community and have that close training with a teacher, you might easily think you’re doing well. You might say, “I have no jealously, I’m not jealous of anyone at all.” But with no one to check you—unless you are very good and honest with yourself—it’s easy to develop ideas about who you are, and what you can and can’t do. Living far from everyone else, you may only see people once or twice a year for a weekend teaching. For that period of time you can behave very well, because when you go back to your apartment, you won’t have to communicate with anyone at all. When you live closely with a teacher in community, however, you have no place to hide. You can pretend or force yourself to be mindful for a couple of days or weeks. But the time will come when there’s someone you don’t like, or someone gets in your face, or you become jealous of someone, or threatened by something. And then there are no excuses. You come to know yourself and others in ways you never imagined were there. The presence of the community and teachers acts as such a clear mirror. Of course this is very difficult training. But if you are serious about training yourself, I think it’s the best way to train yourself and something you all should go through. 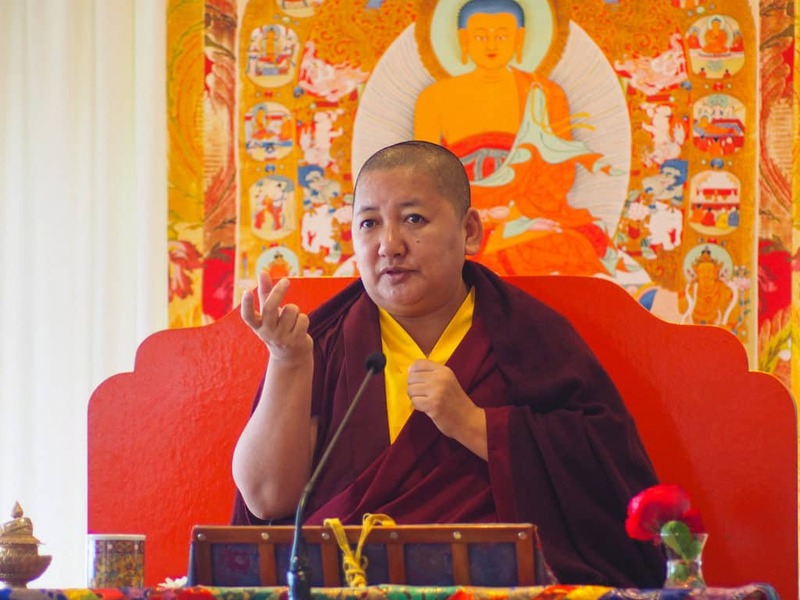 HB: Rinpoche, having been raised in a convent school and then grown up in the feminist movement, I’ve always associated convent training as the infantilization of those nuns, who were never really encouraged to realize their potential. JKR: That depends on the leader. The same thing can happen in any community; it can happen in the monastic environments in the east. It’s very easy to fall into—and it doesn’t happen because of any negative intention. It happens when people try to be very loyal to a system. Loyalty to a system and what you think it expects of you and the administrators can take over the organic growth of the people living within the system. You try to keep to the technicalities of those expectations that you think best express your loyalty and devotion (JKR: laughs)—and they become more crucial than the needs of the people in the community. 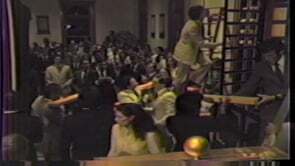 It’s a very, very tricky situation, and there is no one solution—other than to depend on good leaders. Good leaders will give those running the communities the freedom to see the needs of the people as more important than any ideas of fulfilling obligations as loyal subjects. This is a very important point. It is crucial to train in leadership, not just at the top but at all levels of leadership. HB: This point seems to be coming up in many sanghas. In many cases, Buddhist mandalas are seen as very top-down situations. But we now have an aging sangha; people are actually becoming elders and just naturally maturing, if not spiritually maturing—although hopefully that is happening too. JKR: You know, it’s the same in every community, but let’s talk here about Buddhist communities. First of all, the growth of Buddhist communities and their ability to help others really well cannot happen until those who run the places follow the rules themselves. Number two: Until those in administrative and leadership positions have knowledge, experience, and a strong practice background themselves, there will be problems. Number three: If the leaders or those actually holding these communities don’t have genuine compassion for others, there will always be problems. Number four: You cannot be a good leader if you have an agenda of your own. So, if you are considering or wanting to be of service to the community, train yourself first to do this solely because you are a practitioner—not as an opportunity to express your own agenda. For example some people say, “I love teaching, so I want to teach.” I find this extremely uncomfortable, because it’s an expression of what you want. You’re going to teach what you want to teach, rather than being willing to share with others something they may need to hear. Even in charitable projects, people say things like “I love dogs, so I’m going to work for dogs”—which is very nice. But if the main intention is to fulfill your own sense of good feeling and worth or to have a way to express your own needs, then the self is being given more importance than the needs of others. And then you will only be able to compromise or be flexible if it allows you to accomplish your own agenda. So this approach is very dangerous. As practitioners, it is very important to keep in mind selflessness and genuine practice. Whatever good you can do for others, do it. If it is accepted, fine; if it is not accepted, that’s also fine. Each day just keep doing good things for others, without expectation and without being stuck on your own ideas. If you think this sounds difficult, it is difficult. But then you would know what it means to help others. You would know what it means to lead others. In the western culture, some take leadership as a job description. It’s like a coat factory where some people only make sleeves, or pockets, or labels. You may have made thousands of pockets; everyone says how good you are, and you’re really proud of your pockets. You iron them every day, and admire them, and make sure they’re well publicized. But if the sleeves, labels, and the rest of the jackets aren’t done, you have no place to put your pockets. A lot of mix-ups happen when people bring this kind of mentality into a community of Buddhist practitioners. KJR: Yes—and then you want that specialty to be “special.” Instead, it’s a question of bigger vision. It’s about seeing yourself as part of the overall bigger vision, as part of the whole. This is very important for people to learn, understand, and speak about. HB: From the point of view of the bigger vision, Rinpoche, would you say something about the importance, in the training of a Buddhist practitioner, of the very large cycles of transmissions and empowerments? Now if you are in the capacity to lead and teach others, then do it. Always do it. I’m not saying to stop that—but simultaneously learn more and grow more. Understand that there is a lot to accumulate and a lot to learn. Buddhism in the West is just a drop, at the moment. No matter how much we say it has “happened”—and a lot has happened—it’s just a drop compared to what is there. You could take that drop and say, “Well for an ant, it’s a pond”; you could stop at a drop, or a spoonful, or a puddle, or a well, or a lake. But you can’t negate the fact that there is an ocean. It is very important to understand that for dharma to come to the West, it really needs to be sustained and nourished and grown here. There is much to do and much to learn now. There is an immense limitless ocean of wisdom that still needs to be gotten. Again, if you look at all the older ways that dharma moved from India to Tibet, you will see those traditional forms have a lot of wisdom in them. That wisdom was not born out of an ordinary mind; it was born out of the wisdom mind of the great enlightened bodhisattvas. Our responsibility now is to take advantage of that and to assure the transference of the teachings in the mode of transmissions. Not just selective transmissions, but entire bodies of teachings and transmissions—beginning with the Tripitaka, then sutra, tantra, kama and terma—must begin to happen in their three modes, or streams: the great bodies of empowerments, the oral transmissions, and the commentaries. Now culturally speaking, westerners always feel that when they take an empowerment, it’s then up to them to “do it.” And this is extremely good. This is how it should be—but there is one downside. You may be limiting yourself. You may not be letting your mind—which is very vast and flexible—benefit from this wealth of wisdom. It’s like saying that a child who likes pottery can only concentrate on pottery. Until you excel in making pots, you can never look at the ocean or sky—because what does the sky have to do with making pots? This again alienates the part from the whole. And that is about not understanding karma. It’s about not understanding the enormously intricate and complex ways we work with karma, the elements, and the thousands of interdependent originations. Now on the face of it, I can understand when people ask, “Why should I receive all these transmissions when I can’t even finish my prostrations?” And I agree that you shouldn’t take on many things, if you can’t finish one thing. On the other hand, there are blessings, there are connections, and there is being part of an empowerment. We sometimes say that what I am today must be because I was an ant during the time of the great teachers, or the time of the Buddha. If at that time the ant had said, “I’m just an ant. I’m not going to go in that direction,” we may never have come to this point. So it’s very good to finish what you start. But to use that to limit yourself or to exclude yourself from transmissions, blessings, and vast teachings—which in the future may enhance what you are doing—may be the wrong way to approach it. Now this feeble heart may assume that what you are doing is sufficient to dispel thousands of lifetimes of karmic habitual tendencies. But this is like going out for a walk and getting so focused on your two feet that you don’t see the space in front of you. So there has to be a balance of both. JKR: On that happy note! Having said that, however, I have complete trust that western students are coming of age and can now train themselves more deeply—not in a theoretical way, but in a very direct experiential way. HB: Thank you so very much, Rinpoche.